Joseph Clark produced many oil paintings of children, which were generally well received by the Victorian public, and he was a regular exhibitor of childhood subjects at the Royal Academy. Before he started his oil paintings, he normally made a series of precise drawings and expressive watercolours of the chosen subject. He frequently used members of his own family as models. 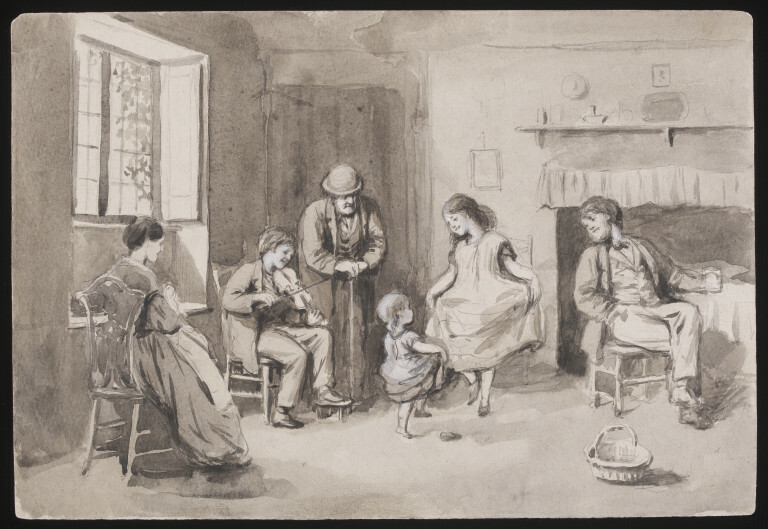 Wash drawing of two children dancing, accompanied by a young boy playing a violin, in a cottage interior, watched by three adults. 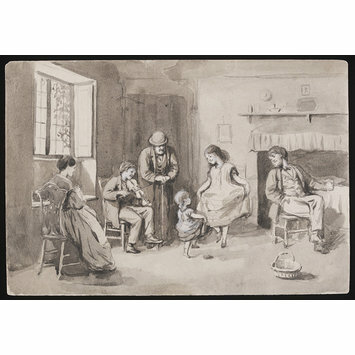 Wash drawing of two children dancing, accompanied by a young boy playing a violin, in a cottage interior, watched by three adults, by Joseph Clark, Great Britain, late 19th century-first quarter of 20th century.